In this section we publish links to reports and presentations in English, about Icelandic energy issues. Note that links to other websites may become out of date. If a given link to a report, as presented below, is not working you are welcome to contact us directly for information about the report/presentation. We have copies of all the reports/presentations as pdf-files. 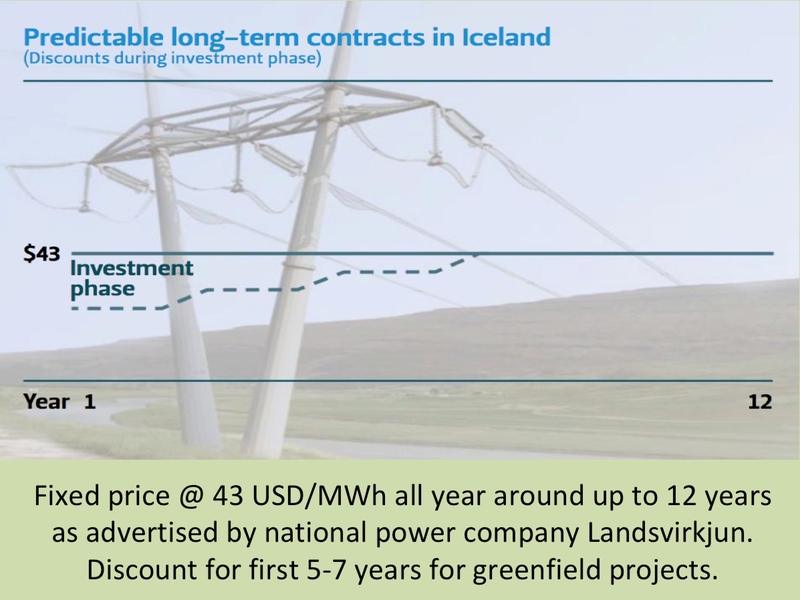 Report by PwC from 2016, commissioned by Landsvirkjun, regarding the Icelandic incentives program for energy investments and other businesses. The report was made made available for downloading on the website of Landsvirkjun. Will Icelandic Households Benefit from a Sub-Sea Cable to Britain? Presentation by Dr. Ásgeir Jónsson, economist at GAM Management (GAMMA), at the Icelandic Energy to Britain conference, hosted by the British-Icelandic Chamber of Commerce in Reykjavik, December 2013. The presentation was made available to download from GAMMA´s website, with this direct link (pdf file). The Iceland Energy Summit was held in November 2013 by the British-Icelandic Chamber of Commerce and hosted by Bloomberg in London. The presentations from the meeting were made available to be downloaded from the website of the British-Icelandic Chamber of Commerce (pdf file). Results and recommendations of an advisory group commissioned by the Icelandic Minister of Industries and Innovation, June, 2013. English translation of selected parts of this report was made available for downloading from the website of the ministry (pdf-file). Presentation by Dr. Hörður Arnarson, CEO of Landsvirkjun, August 2012. The presentation was made available to be downloaded from the website of Íslandsbanki (pdf file). Presentation by Mr. Magnús Bjarnason, VP Marketing and Business Development at Landsvirkjun, July 2012. The presentation was made available to be downloaded from the website of Future Energy Strategies (pdf file). Presentation by Dr. Hörður Arnarson, CEO of Landsvirkjun, June 2012. This is a presentation from the 3rd European Renewable Energy Markets Conference, hosted by Platts. Direct link to this presentation has not been available. Analysis by GAM Management hf. (GAMMA) for Landsvirkjun, September 2011. The report was made available for downloading through this direct link (pdf file) on GAMMA’s website. Presentation by Dr. Hörður Arnarson, CEO of Landsvirkjun, September 2011. The presentation has been available for downloaded from the website of Icelandic law firm Logos (pdf file). By Iceland’s National Energy Authority (NEA), February 2011. The purpose of this report “is to give a comprehensive overview of the status of the framework of the electricity industry in Iceland”. The report is based on the reporting requirements in the European Union’s Electricity Directive (Directive 2003/54/EC). The report was made available on NEA’s website. through this direct link (pdf file).